Over the past few decades, arbitration has become the number one mechanism to settle international investment and commercial disputes. As a parallel development, the international legal framework to combat economic crime became much stronger within the fields of foreign public bribery, private bribery, fraud and money laundering. With frequent allegations of criminal conduct arising in international arbitration proceedings, it is crucially important to consider how such claims can be proven. 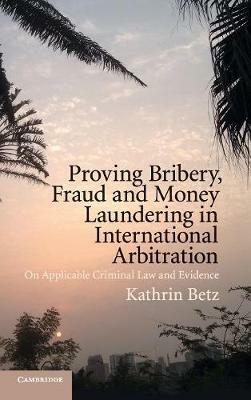 This book analyses relevant case law involving alleged criminal conduct within international arbitration and addresses the most pressing issues regarding applicable criminal law and evidence. It is an essential resource for practising lawyers and academics active in the field of international investment and commercial arbitration.